George Sicherman solved problem #44. 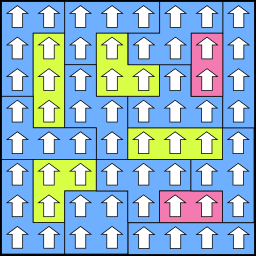 (Tile a certain torus with the 1–5-ominoes such that the 1–4-ominoes do not touch each other. Finding a solution where none of the smaller pieces even meet at corners was optional, but well appreciated!) 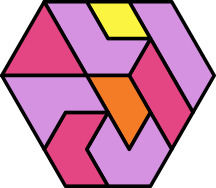 This solution contains four “crossroads”, or points where four polyominoes meet. 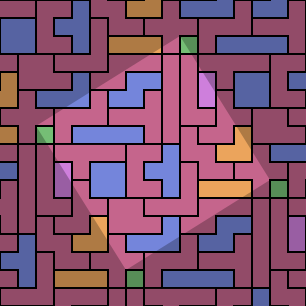 These are sometimes considered an aesthetic flaw in a polyomino tiling, and whether or not you agree with that, finding solutions without them tends to be good for an extra challenge. 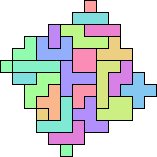 Problem #44a: find a solution for problem #44 without crossroads.